A donor-advised fund is a charitable giving vehicle sponsored by a public charity, such as Fiduciary Trust Charitable. The donor generally receives an immediate income tax deduction for contributions to the fund and can recommend that grants be made from the account to IRS-qualified charities at any time. Contributions to the donor-advised fund can be made in the current and future years, and grants can be made from the fund to qualified charities in the current and future years. The fund can generally be invested in a manner consistent with the donor’s philanthropic goals and investment preferences, provided they are aligned with the sponsoring charity’s policies. Once the donor gifts assets to the fund, the donor no longer has legal control of them. 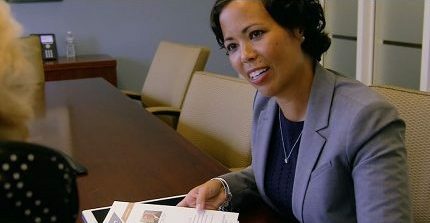 Identify Your Priorities: A Fiduciary Trust Company officer will work with you to understand your philanthropic and other goals, as well as your investment preferences. Create a Charitable Plan: Based on your needs and preferences, and our investment, and tax, estate, and philanthropic planning expertise, we’ll assess your charitable giving options, including determining whether the Charitable Gift Fund (CGF) is the best vehicle for you. Assuming the CGF is appropriate, we’ll establish a specific charitable plan for the fund. As part of this phase, you will also designate “Charitable Advisors,” which can be yourself, family members, or others, who can make grant and investment recommendations. Implement: Once the CGF is funded, your Fiduciary Trust Company officer will manage the investment portfolio, and we will validate that Charitable Advisor(s)’ grant recommendations meet IRS and FT Charitable requirements. Then we will distribute funds to the appropriate charities, considering how the Charitable Advisor(s) would like the gifts to be acknowledged. Engage and Review: We will engage you and the Charitable Advisors on a regular basis to keep you updated on the account performance and balance. We’ll also continuously monitor the markets and investment performance and make periodic adjustments as needed. By designating family members as charitable advisors, the family can come together on a long-term basis to make charitable grant recommendations, instilling values and strengthening family bonds. FTC can support this through organizing periodic meetings to discuss recommendations and progress. Note: $50,000 minimum deposit to open a Charitable Gift Fund. There is no minimum balance required to maintain an account. 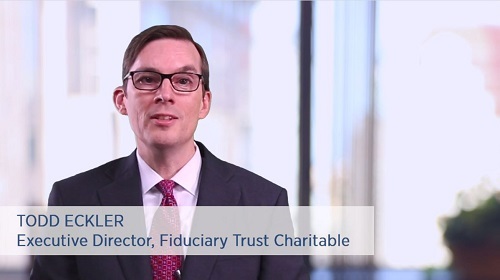 What Distinguishes FT Charitable's Donor-Advised Funds?